I Pledge Allegiance to Blind Patriotism | Why are Americans Patriotic? It’s that time of the year again! It’s the time to pull out dusty summer coolers, amass copious supplies of burgers, buns, and Bud Lights, stockpile fireworks you agreed to use for “agricultural purposes” (yeah, right), and drape porches and patios in that all American symbol of patriotism—the US flag. Ahhh yes. God bless America. It’s a frequent occurrence to hear the term “patriotic” ascribed to a number of nouns. That’s a patriotic song, place, story, etc. She’s a very patriotic woman. That’s all well and good, yet I wonder how many patriots out there have given much thought to the meaning behind their undying allegiance. Patriotism: devoted love, support, and defense of one’s country; national loyalty (dictionary.com). 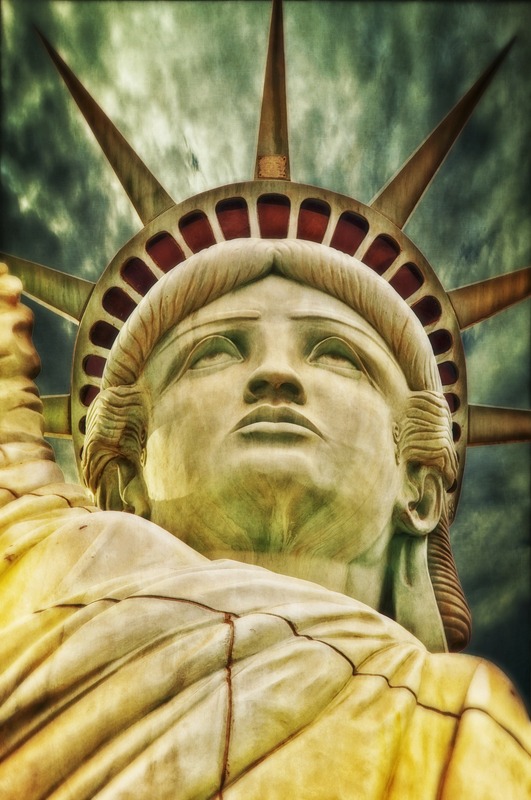 Many individuals attribute their patriotism to vague ideas of freedom, equality, opportunity, or power. Others point to the serving military, the current commander-in-chief, or the Founding Fathers as rationale for their nationalism. But do you understand the basic workings of government? The principles behind the US Constitution? The rights and duties of constituents? The stances of local/national politicians? Let’s test your American knowledge with a few questions. These questions come from the civics portion of the US naturalization test. Answers are at the bottom of the page. And what about questions that don’t have a one word or one sentence answer? Why did we go to war with Iraq or Afghanistan? How does the Electoral College work? What is the primary agenda of mainstream media? How can you be loyal to a system you don’t understand? An ideology with multiple definitions? A history you haven’t researched? A document you’ve never read? But perhaps you know all this. Maybe you’re an “America” connoisseur. You know a lot about American government and history. You can recite portions of historical texts. You know that Francis Scott Key wrote “Defence of Fort M’Henry” which was later renamed and adopted as our national anthem. You understand the significance behind the words, “Give me liberty or give me death” and the consequence of the phrase, “Don’t tread on me.” You know that George Washington wasn’t actually the first president of the United States (it was John Hanson) and that Independence wasn’t formally declared on July 4 (it was declared on July 2, 1776). But then you also likely know that 16,000 Cherokee Indians were forcibly removed from their homes in an event known today as “The Trail of Tears.” You know that many of the Founding Fathers who fought for America’s independence “owned” slaves. You know that the Supreme Court ruled against Dred Scott. You know that women weren’t given the right to vote until 1920. America has incredible history; it also has tragic history. So why are you proud to be an American? Where does your patriotism lie? To what/whom are you pledging your allegiance? A person? A history? An ideology? A symbol? America is not infallible. Neither are its politicians, people, or policies. As for me, I pledge allegiance to the foundational principle “that all men are created equal, that they are endowed by their Creator with certain unalienable Rights, that among these are Life, Liberty and the pursuit of Happiness.” Yet I also recognize that there are times when my rights are infringed, when justice isn’t served, and when freedom is squelched. So yes, I do pledge allegiance to America, but it isn’t blind allegiance and it isn’t permanent allegiance. I am prepared for the possibility that my incredible country will one-day violate its inaugural principles. Until then, I will proudly serve, support, and sacrifice for the land that I love. 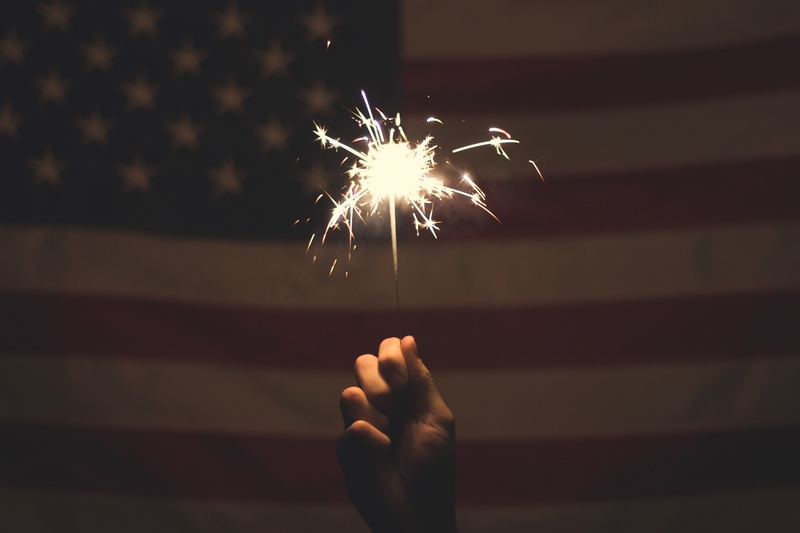 So as you set up your grill, sweep your patio, don your cap and sunglasses, and proudly display the beautiful stars and stripes, consider the implications of the celebration and the meaning behind your patriotism. Enjoy your burgers and fireworks and remember—today will be amazing!